Semi-evergreen in sheltered spots, height to 25cm. 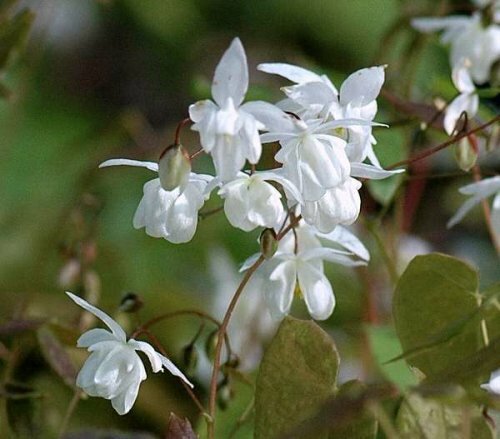 A compact variety with beautiful white flowers and attractive foliage. Bronze when young, maturing to fresh green, then spectacular autumn reds.